Samsung launched the Flow app back in 2015 as a Samsung Galaxy exclusive. Later, the company opened up the PC app to all Windows 10 users with Creators Update or above. The Samsung Flow app is the successor to the company’s SideSync app. It allows users to connect Galaxy smartphones, tablets, and PCs to share content, sync notifications, unlock Windows 10 PCs with Samsung smartphones, create an instant hotspot, and more. Samsung is pushing out a new update (v3.0.14) to the Flow app on Android with two major features. 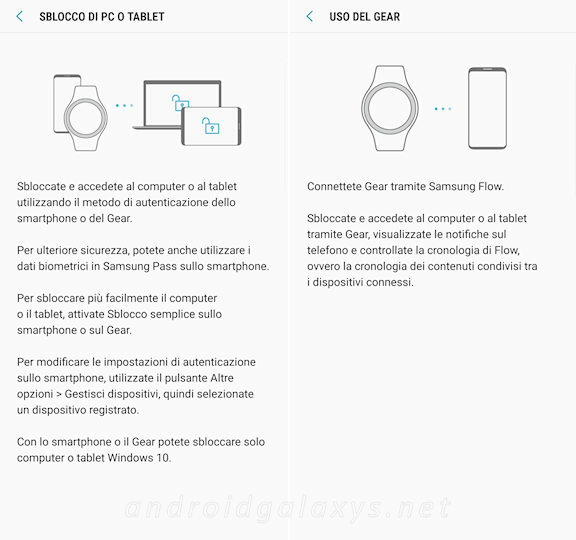 First and foremost, Samsung is adding Flow support for Gear smartwatches with Tizen 3.0 and above (essentially the Gear S3 and Gear Sport), allowing Gear users to sync notifications and unlock PCs with their Gear smartwatches. The other major new feature is the inclusion of Smart View functionality in the Flow app which makes it easy to mirror phone screens on linked computers. Before you rush to install the new update and link your Gear smartwatch, be aware that the Gear version of the app is not yet released by Samsung. The company says it is under store verification and will be available to download in a couple of days in the Galaxy App store. The Samsung Flow app was buggy at launch and resulted in poor reviews. The app has improved a lot since then with many updates from Samsung. If you haven’t tried the Samsung Flow app recently, maybe it’s worth giving it another try. It definitely offers enough functionality to warrant a place on your smartphone and PC. If you don’t see the update on Google Play yet, you can download the latest APK from our database. The Windows counterpart can be downloaded from the Microsoft Store. The app is useless on S9+ and Windows 10. No smart view.. Hope they fix it. Since this update I can’t transfer files anymore and smart view doesn’t work at all.